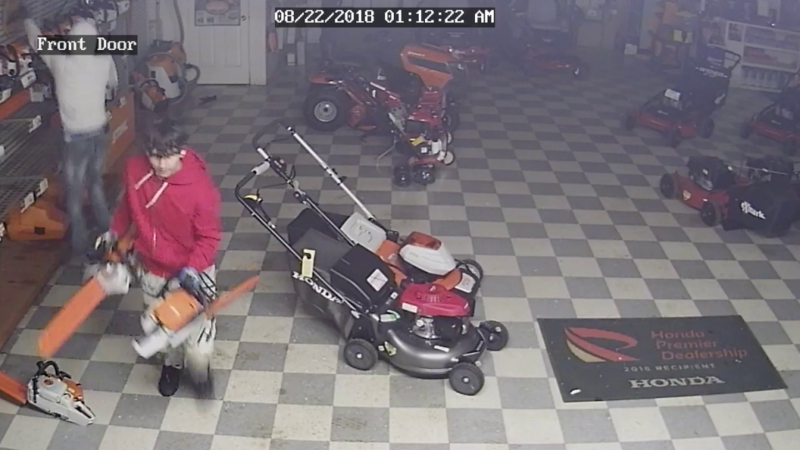 CEDAR CITY — Police are seeking the public’s help in identifying three male individuals suspected of breaking into an outdoor equipment shop and stealing thousands of dollars worth of items. Updated Aug. 22, 2 p.m. to include clip of video surveillance footage. Click to play in player above. Cedar City Police Sgt. Jerry Womack said the incident occurred at Utah Outdoor Power Equipment, located at 1000 S. Fir St. in Cedar City, just after 11 p.m. Tuesday. 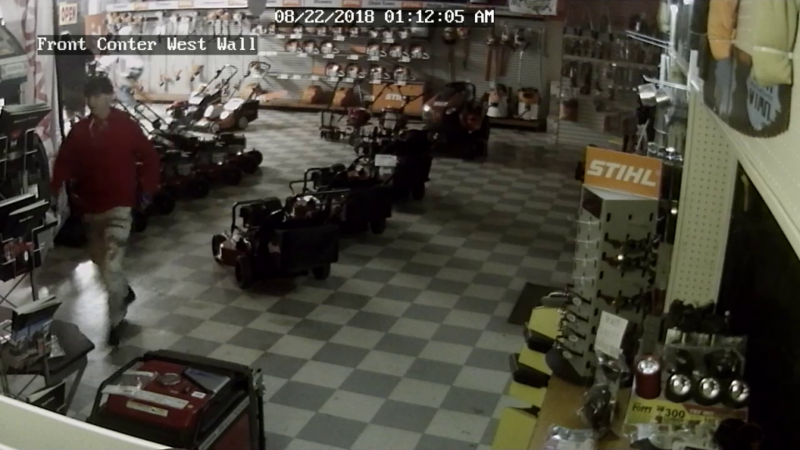 The time stamps on the still frames from the surveillance video indicate the individuals were in the shop at 1:12 a.m. Wednesday, but Womack said the footage shows the wrong time and that the actual time of the burglary was approximately two hours earlier. Womack said the suspects gained entry by smashing one of the store’s front windows and were only inside the shop for a total of about two minutes. 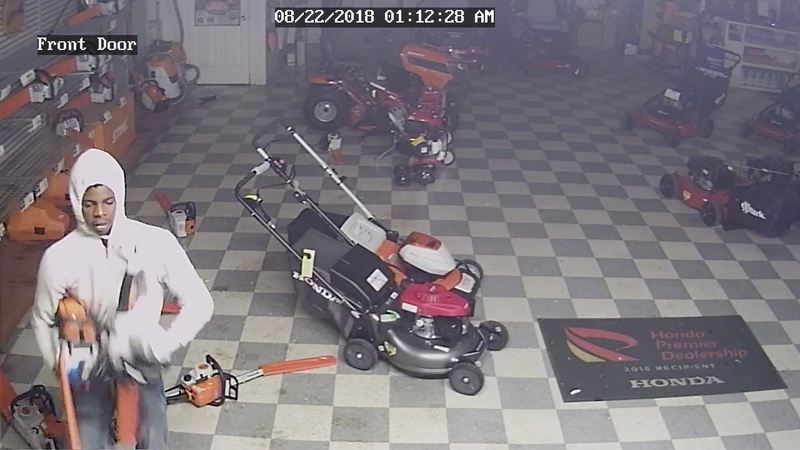 The surveillance footage shows the subjects removing chainsaws, generators and other equipment from the store’s shelves. “We don’t have a detailed list yet,” Womack said of the missing items. Womack said police do not yet have any information regarding possible accomplices or a getaway vehicle, but they are hoping someone may have noticed unusual activity in the area late Tuesday night. 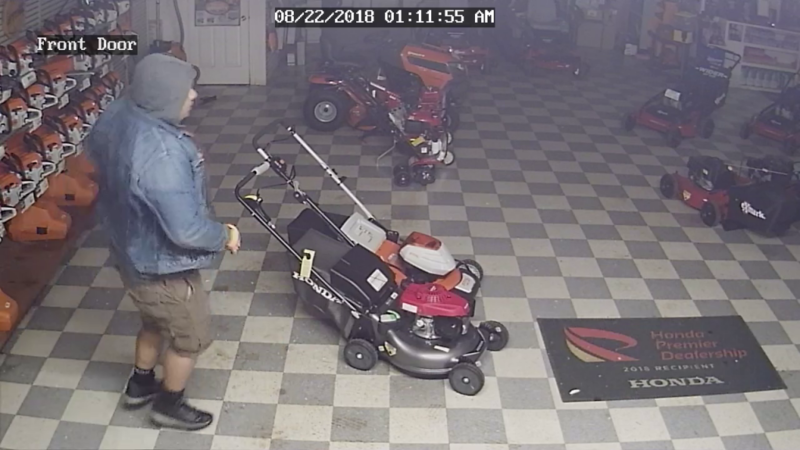 Anyone with information that might help police identify the suspects is asked to call Cedar City Police Department at 435-586-2956 and reference case number C18-02812. Detective Justin Chappell is assigned to the case. I’m going to go out on a limb here and say the culprits here are the guys in the surveillance video.